Tina Turner’s 1978 high profiled divorce from cocaine-drugged husband, Ike Turner, walked away from her very successful participation in the Ike and Tina Turner Revue and into a stage of redefining Tina Turner on her terms. Tina Bullock would become Tina Turner following her 1962 Tijuana, Mexico marriage to Ike Turner. Enter into the 1970’s and Ike Turner’s heavy drug use, led to many acts of mental and physical abuse against Tina Turner. This very turbulent era would lead to a 1978 divorce settlement leaving Ms. Turner only her stage name and accepted responsibility for any debts from her canceled tour and also debts owed to the IRS. Ms. Turner returned to recording in 1978 but her recordings did not sell well. She then began rehearsing for a world tour hoping to jump-start her fledgling career. In one of Ms. Turner’s first comeback world stage appearances, this 1981 photo of Tina Turner shows a revamped Turner performing at a no-cost stage act at the Del Mar Fairgrounds in San Diego. Despite efforts by President George W. Bush’s administration to enforce the United States government’s embargo on Cuba and deny the Cuban baseball team to play in the World Classic Baseball Tournament in the US, the US government withdrew their protest after Puerto Rico threatened to pull out as hosts to this international baseball tournament. Also considered in the US protest withdrawal was the negative effect it would have on any future bid to host other international sporting events, especially the Olympic Games. 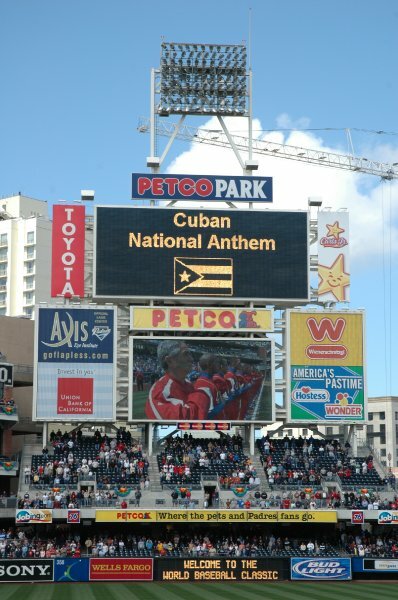 This March 18, 2006 photo taken at Petco Park in San Diego, CA, shows the Cuban baseball team on the screen over the background stadium broadcast of the Cuban national anthem. Cuba would win their way into the World Classic Baseball finals only to lose to Japan, 10-6. 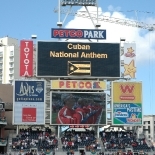 Fearful of potential defection of some of its top baseball stars, the Cuban team would not allow certain players to accompany the team to the US. 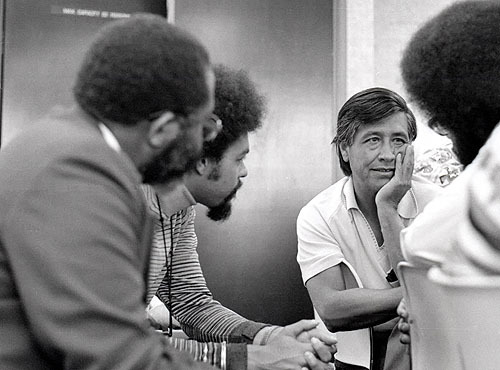 The United Domestic Workers (UDW) Union was inspired by Cesar Chavez, who recruited and trained its leaders and planted in them the seed to build the domestic workers movement. Due to the diversity and isolation of these workers, no one other than Cesar Chavez and UDW, believed it was possible to organize home care and domestic workers. Founded by UDW leaders, Ken Seaton Msejaji, Fahari Jeffers and Greg Akili, it is the first known labor union founded exclusively to represent domestics and other home care workers. With its founding, UDW became the third union in American labor history to be founded by blacks or Latinos. The UDW was taken over by the AFSME International alleging fiscal malfeasance and the entire union was restructured. No charges were ever filed against the original founders in what many have described as a totally unjustified racist attack and power grab for the membership of the nation’s fastest growing labor organization. The hard work of the original leadership led to the opportunity for over 200000 state in-home health care workers to be represented by a union. History has been shamefully silent regarding the tremendous contributions of the Community Services Organization (CSO) to what would become known as La Causa. 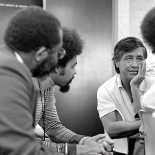 The CSO became a training ground for the first generation of Latino leaders, including Cesar Chavez, Dolores Huerta, and Gilbert Padilla. The legacy of the CSO lives today in many community based organizations. 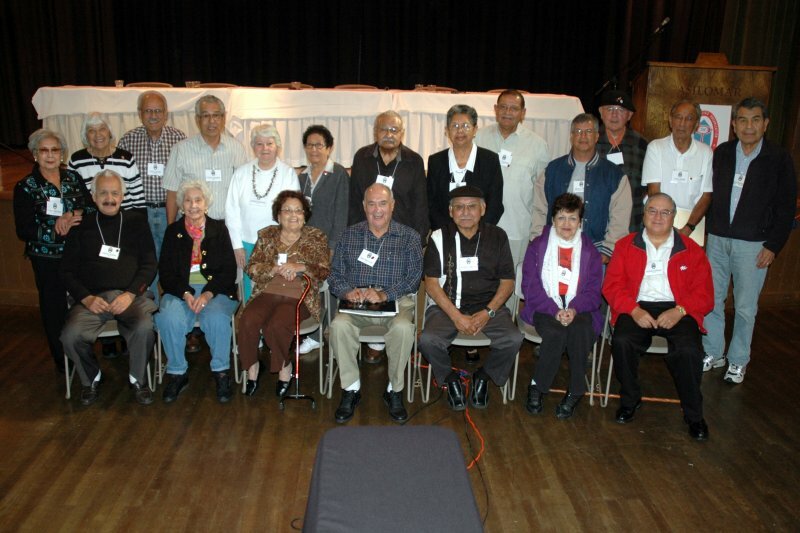 In 1947, in direct response to rampant police abuse, a lack of educational opportunities, widespread discrimination in government services, and other racist policies, the CSO was founded by Antonio Rios, Edward Roybal, and Fred Ross, Sr. During this period, the Mexican-American community was also being physically attacked as documented in the Zoot Suit Riots and the Bloody Christmas assaults. Recognizing the need for a unified Latino voice and political representation, the CSO initially concentrated on organizing voter registration drives in Latino communities all across California. By 1949, the CSO’s efforts culminated in the election of Edward Roybal, the first Latino to serve on the Los Angeles City Council. Within two years, CSO attracted more than 5,000 members in 35 chapters throughout California and Arizona. 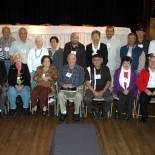 Today the CSO history is being documented in the CSO Documentation Project, http://www.csoproject.org/, led by former CSO members, Gilbert Padilla and Herman Gallegos. With the closure of the Bakersfield CSO chapter a few years ago, only the San Diego Unity League remains of the CSO organization.